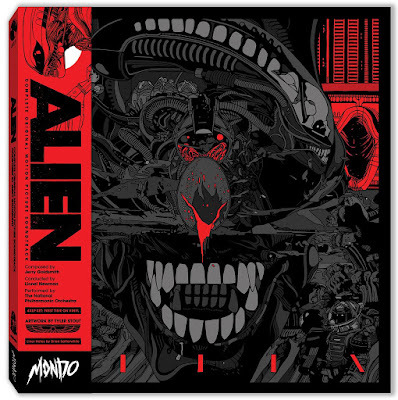 In honor of Alien Day 2017, Mondo has released this epic Alien Complete Motion Picture Soundtrack 4xLP vinyl record box set featuring the amazing artwork of Tyler Stout! This insane set features Jerry Goldsmith's score to Ridley Scott's 1979 sci-fi/horror masterpiece, Alien. 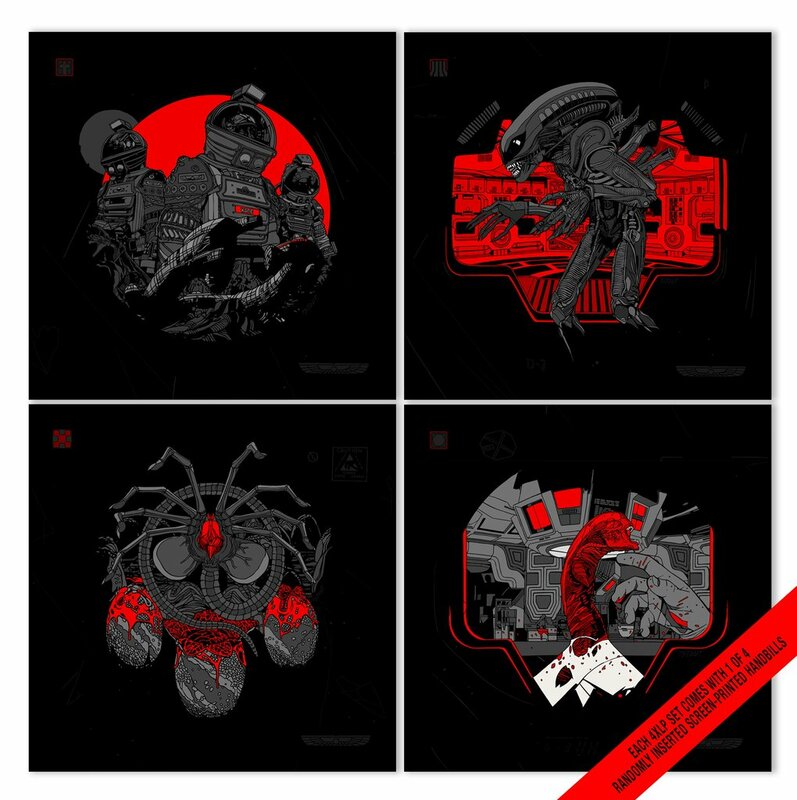 This 4xLP Box Set contains the film’s expanded score, the original 1979 MCA album and a disc full of alternate and bonus cues. The Alien Complete Motion Picture Soundtrack 4xLP Vinyl Record Box Set includes a screen printed Tyler Stout Alien handbill (randomly inserted 1 of 4 designs) and four differently colored 180 gram colored vinyl records: Disc 1 is Alien Egg Olive Green, Disc 2 is Face Hugger Brown, Disc 3 is Chest Burster White with Red Splatter, and Disc 4 is Xenomorph Black. 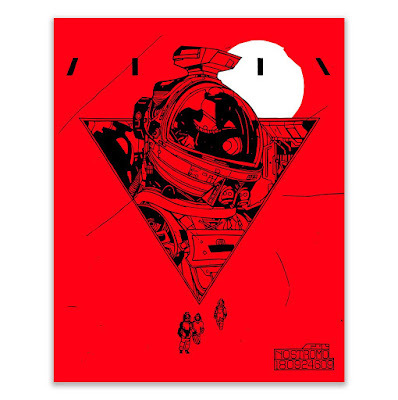 Fans can pre-order this timed edition set from now through May 19th at the Mondo online store for $75.